For three months every summer, the towns and villages of the South Fork of Long Island multiply their populations manyfold. Summer residents bring a lot more than beachwear and party dress to the gilded enclaves known collectively as “the Hamptons.” As the last decades of the 20th century marched across the calendar, Jewish life in the Hamptons grew exponentially. Floating homes hosted minyanim (prayer quorums) that grew into synagogues and community centers. Shabbat services led to rich Jewish-content programming, and year-round connections developed. Jewish cultural programming—Jewish film festivals, concerts, exhibits of Israeli artists and community outreach events benefiting the wider Jewish community—became highly anticipated events on a summer weekend. 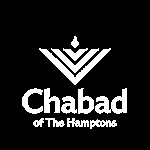 New York Jewish Life spoke to a few of the Jews making Jewish Life in the Hamptons rich, inviting and diverse. As the summer Shabbats of 2017 begin to descend at ever-earlier hours, these Jews are planning new centers, preparing new exhibitions and enriching Jewish Life. Rabbi Leibel Baumgarten came to Long Island at the direction of the Lubavitcher Rebbe, the late Menachem Schneerson. “I was sent to reach out, to help all kinds of people, Jews and non-Jews,” he said. About 35 years ago, Baumgarten began leading Shabbat minyanim in private homes. “It was difficult—hard to put together a minyan,” the rabbi told NYJL. “People needed to say kaddish (the memorial prayer) and have a warm feeling of Shabbat. Five years ago, the Chabad House was expanded to create a synagogue. It is important to have the setting of a synagogue. “What’s so beautiful about our services is the diversity of the crowd. In the city, everybody belongs to a different synagogue; here everybody prays together….In my eyes, a Jew is a Jew,” said Baumgarten. He described the nusach (prayer style) as a combination of traditions, leaning toward the Sephardic.